Global warming is truly taking an effect I believe. I don't remember raining in December since I came to US. For the last one week, the weather is acting little weird. After all the rain the first snow flurries of winter finally made its way to the ground yesterday, but it didn't last for long. The temperature has dropped tremendously now and waking up in the early morning to go to work and fixing a quick breakfast is a bit of hassle. Homemade muffins are part of my kids' breakfast and I make them ahead for weekdays as they are easy to go breakfast when you are in a hurry in the morning. I had a bag of cranberries sitting in my refrigerator that I bought during Thanksgiving to make some sauce and wanted to make use of it. I made some sauce out of the cranberries and mixed it up with some orange juice and orange zest to the basic muffin recipe and viola it came out to be the perfect moist muffins with the citrus punch from the orange and tartness from cranberries. 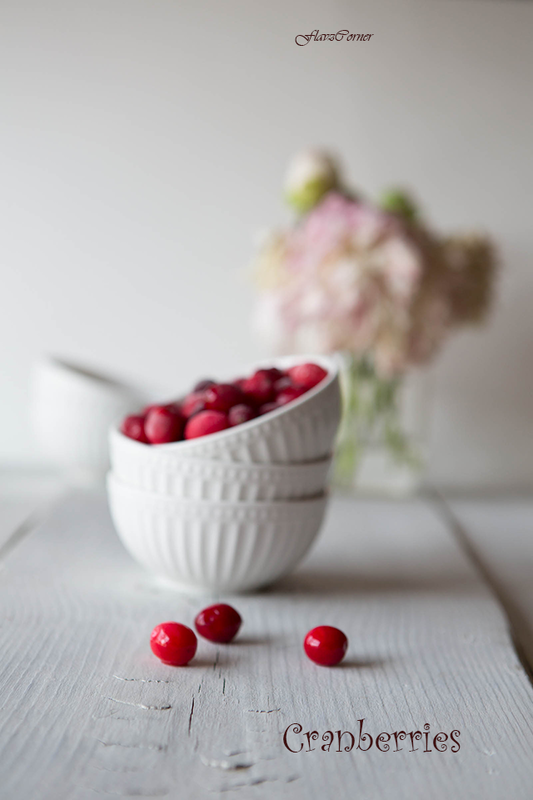 Cranberries are rich in phyto-nutrients and antioxidants, which are essential for all-round wellness. The berries are indeed containing numerous chemical substances that may offer protection from tooth cavities, urinary tract infection, and inflammatory diseases. Studies show that consumption of cranberries helps to increase HDL-good cholesterol levels in the blood and hence lower LDL cholesterol levels. In a heavy bottom sauce pan add the cranberries and sugar and cook on medium heat. The berries starts to pop. Use a wooden spoon to mush them and cook for 6-7 minutes and keep it aside to cool. Mix the egg, sugar, oil and yogurt in a mixing bowl. Gently add the orange juice, zest and mix well. Sift all the dry ingredients together and add to the wet ingredients and mix well. Gently fold in the cranberry sauce to the batter. Fill 3/4th of the greased muffin tin and bake for 16-18 minutes. Store in air tight container after the muffin cools down. You can substitute yogurt with buttermilk. I used mini muffin tin for baking the muffins. Feel free to use bigger muffin tin. 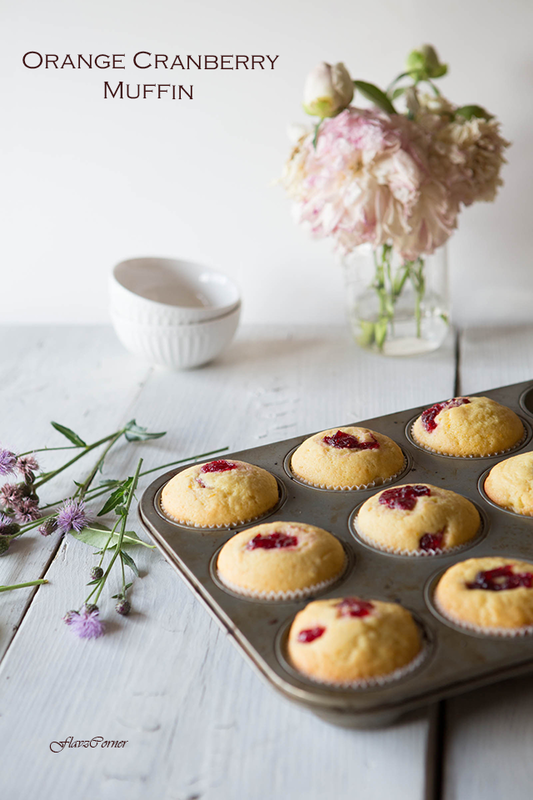 You may have to increase the time depending upon how many muffins you are baking in a batch. Thanks Carole for the invitation!!! Sending the recipe for Food on Friday event. I love cranberries, and don't use them nearly enough in baked goods. These muffins look terrific! And isn't the weather weird this December? Much warmer (at least here in St. Louis) than usual. Anyway, good recipe - thanks. Yes, I agree the weather is weird. I like snow in December though, it gives me the feel of X-Mas. Hope all these weather changes don't make the summer hotter. Do try the recipe and let me know how it comes out for you. Thanks Manju!!! Your comment was the 100th comment on my blog!! 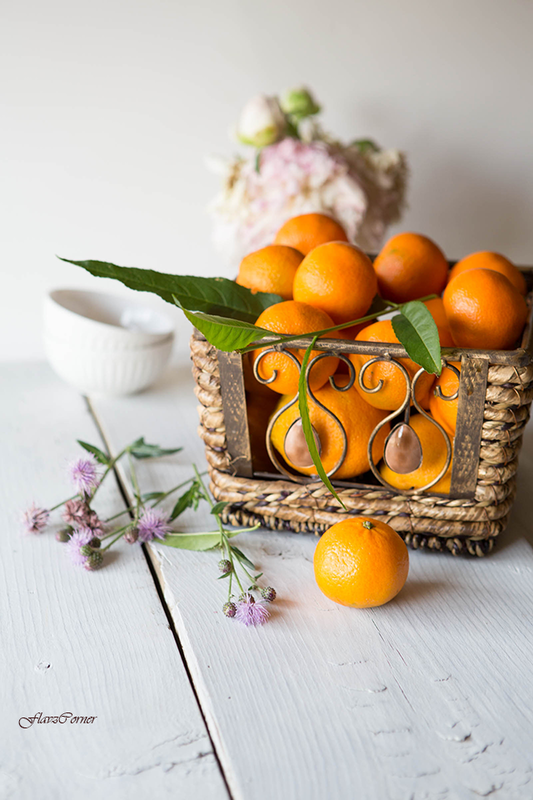 I gave You a "Liebster Blog Award", You can check it here. Merry Christmas! 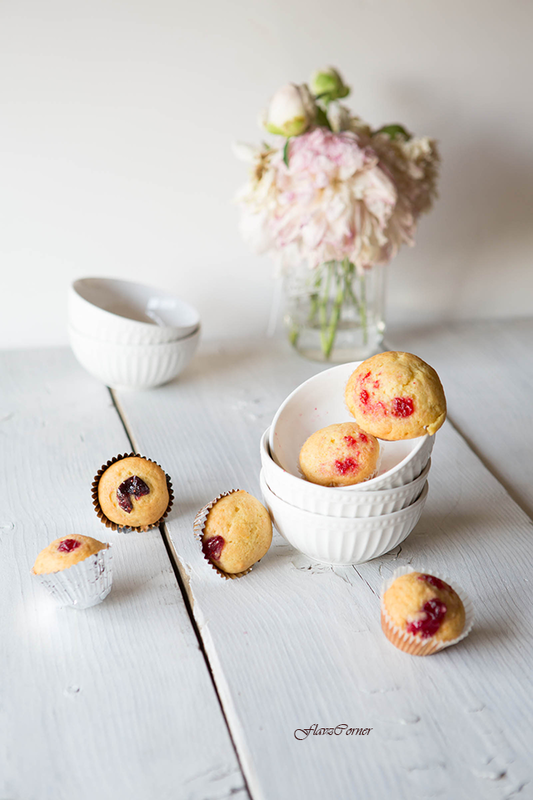 I love cranberry and orange muffins, Shibi! They are perfect together and your mini-muffins are totally adorable! Thanks for the compliment Manish!! !